Epicenter Press (WA), 9780970849335, 192pp. For sheer excitement and adventure, few novels match the true-life story of James Huntington. The son of a white trapper and Indian mother, Huntington learned early to fight for survival in Alaska's remote Kuskokwim region, where life was hard. Huntington's mother once walked 1,000 miles in the dead of winter to return to her family. Later, when she died, it fell to her son--then just seven--to care for his brother and sister. A courageous yet modest man, Huntington hunts wolves, fights bears, survives close calls too numerous to mention, and becomes the first musher to win the Anchorage and Fairbanks sled-dog race championships in the same year. 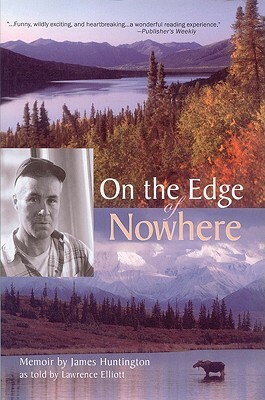 On the Edge of Nowhere is an enduring Alaska classic, an astonishing story filled with surprising twists and turns and still "tingling with excitement," as a reviewer put it, in this third edition of an Alaska classic.